Rising just off of California’s Morro Bay is the justly named Morro Rock, which all but tempts explorers to mount its summit, despite the fact that scaling the isolated hill is against the law. Nuclear waste dump site now an environmental sanctuary. The rock is actually the plug of an underground volcano, the result of pressurized lava flow reaching the surface. 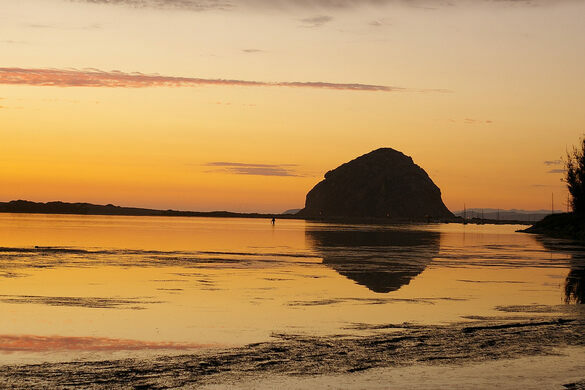 The rock is just one in a coastal chain of volcanic peaks colorfully known as the “Nine Sisters of San Luis Obispo County.”The Salinan and Chumash Native American tribes have lived nearby to Morro Rock for thousands of years. The Salinan name for Morro Rock is Le’samo and the Chumash name is Lisamu. 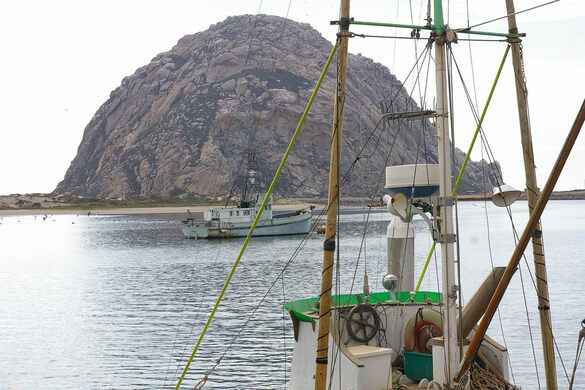 When the area was just becoming developed, Morro Rock was an island, separated from the mainland. A portion of its face was destroyed by dynamite to create the Morro Bay jetty to connect it to the mainland. The rock is now the nesting site of a number of cormorants, gulls, and falcons. Due to the fragile nature of these birds’ habitat, climbing or quarrying the rock is now illegal. The rock is so iconic that it has even been mentioned in a song by “Weird” Al Yankovic, who went to college nearby at California Polytechnic State University. Residents of Morro Bay have affectionately nicknamed the town “3 Stacks, 1 Rock,” with a corresponding hand gesture, referring to the rock and the three iconic smoke stacks from and old power plant facing it across the bay. 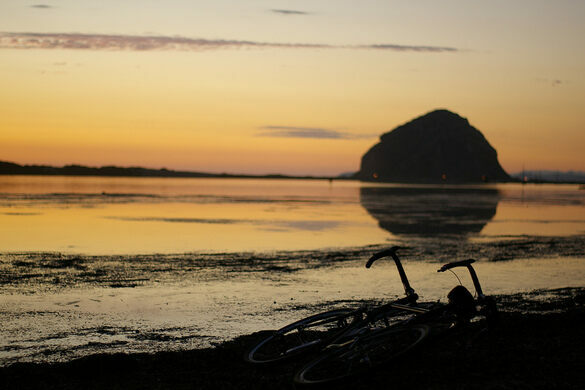 Morro Bay lies on Highway 1, halfway between San Francisco and Los Angeles (four hours from each). Morro Rock is visible from Highway 1. North of Morrow Bay turn west on Atascadero Road, which curves to the south and becomes the Embarcadero. Turn right onto Coleman Drive, and there is ample beach parking at two spots to walk the beach and see the rock up close. The area is a wildlife refuge. Otters nest in the bay, sea lions relax on the docks, and bright orange sea stars are visible in the crystal clear waters. Morro Bay is frequently cold and foggy, so bring a jacket. A deserted hodgepodge of experimental structures designed by nearby university students. A chain of bells connect the California Missions and honor the legend of the "King’s Highway."